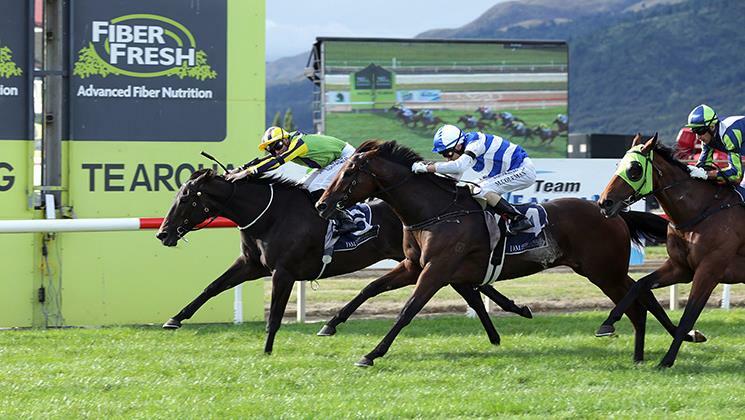 Nicoletta provided trainer Andrew Forsman with his 100th New Zealand stakes winner when she led all the way for a game win in today’s Group 1 $200,000 Fiber Fresh NZ Thoroughbred Breeders Stakes at Te Aroha. The Savabeel five-year-old mare stunned punters when she won at odds of 37 to one but Forsman, who trains in partnership with one of the country’s best conditioners of thoroughbreds in Murray Baker, was confident she could test her rivals in the 1600m feature. Forsman, who was in charge while Baker was looking after the stable’s horses in Sydney, said he gave jockey Jake Bayliss specific instructions before the start to dictate from the front and they proved to be inch-perfect. Nicoletta took a clear the lead from the outset, established a break on the field rounding the home bend, and managed to stave off the late challenge from Supera to win by a long head. Australian-trained Luvaluva was three-quarters of a length back in third, with race-favourite Volpe Veloce a further 1-3/4 lengths back in fourth. “She’s twice Group 1-placed and is deserving of a Group 1 win so I’m glad she’s got it. Forsman, 36, started out working part-time for Murray Baker’s Cambridge stable several years ago whilst doing a course at university in Auckland studying television photography. He spent a year behind a Trackside television camera before Baker offered him a training partnership when Baker’s son Bjorn left New Zealand to establish his own stable in Sydney. Six years later Forsman has risen to the top of the ladder in the New Zealand training ranks yet still remains conscious of his humble beginnings and was delighted that his 100th New Zealand stakes winner was owned by Wellington’s Lib Patenga, one of the stable’s most loyal clients. For jockey Jake Bayliss today’s success by Nicoletta was also another special moment in the Australian-born rider’s career. “It’s my third Group 1 win and Mum was here to watch it, so it’s something special,” Bayliss said. He added that he will be returning to Queensland in two weeks time for a three month stint there before returning to New Zealand in August. Nicoletta was a $90,000 purchase from the 2015 Karaka yearling sales and has now recorded five wins from 30 starts and amassed more than $384,000 in stakemoney. 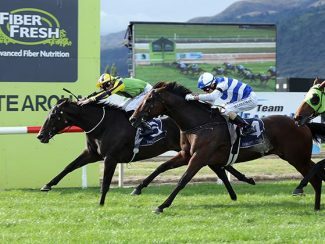 Owner Lib Patenga’s day only got better at Te Aroha when his talented filly Santa Catarina scored a runaway win in the race immediately following the Breeders Stakes. The Savabeel three-year-old, trained by Stephen Marsh started a warm favourite for the Rating 72 1400m race and proved a class above her rivals, taking control early in the home straight and racing right away in the final stages to win by 3-3/4 lengths.